Elon Musk's Space X announced that it has signed up its first private tourist for a trip around the moon. Like many Elon Musk-associated announcements, the reveal was large on hype and light on additional details. Despite the announcement on Twitter, made late on September 14, no timetable or details about the mission, including the name of the first space tourist, were revealed. The mission is planning on using SpaceX's largest rocket, called the BFR. However, according to reports, this rocket is still under development and could be held up for another year or two before even making a test flight. SpaceX has pitched the venture as "an important step toward enabling access for everyday people who dream of traveling to space." More details on the plan are set to be released next Monday. Like many statements Musk has made in the past, this latest one should probably be taken with a grain of salt. Back in 2017 Musk said that he wanted to take "space tourists" around the moon by the end of 2018. 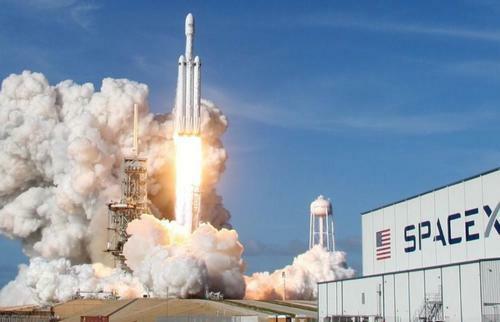 Back then, the plan was to use a human-rated version of the already existing Dragon spacecraft, on top of a 27 engine Falcon Heavy rocket (pictured above) that has cost SpaceX about $1 billion. By the time the Falcon Heavy rocket had its first launch early in 2018, Musk had already indicated that it may not be used primarily going forward. At that point, a spokesperson for SpaceX had said that Musk's initial timetable to send people around the moon by the end of 2018 was going to need to be pushed back "to at least mid-2019 and likely longer". The use of the BFR rocket seems to be an indication that they have given up on past plans and are now pursuing a different direction. Given the recent negativity surrounding Tesla and recent auto industry executive comments that Musk may be better suited to work at SpaceX, we’re wondering if this isn’t a piece of a larger plan to pivot Musk's full time attention away from Tesla.